Met with an attorney yesterday to take care of some outstanding tax and life planning issues (part of Operation Get Our Sh*t Together, which includes finally drafting that will we never did, finding a dentist and a PCP, among other things). 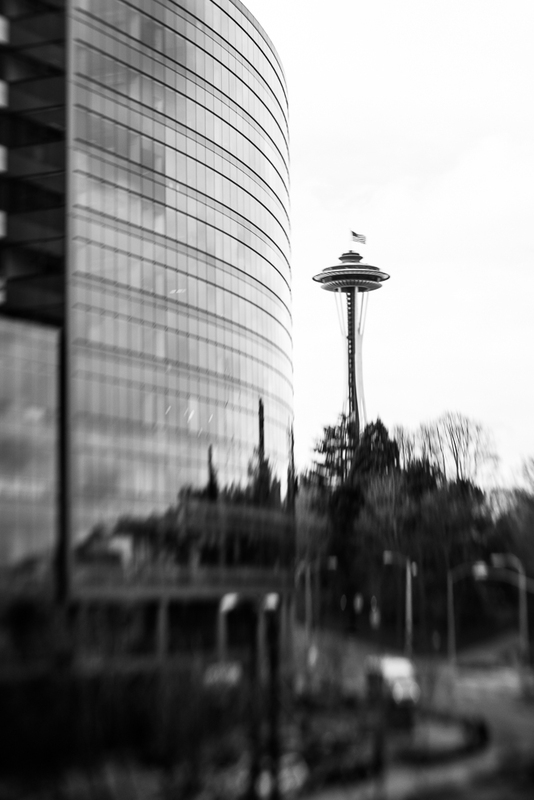 Before I ducked into Starbucks, I saw this view of the Space Needle and decided to try and capture it with my lensbaby. Kind of a trippy view, no?